A lovely keepsake gift for mother and daughter, godmother and goddaughter, bride and flower girl, or matron of honor and her daughter…the possibilities are endless! 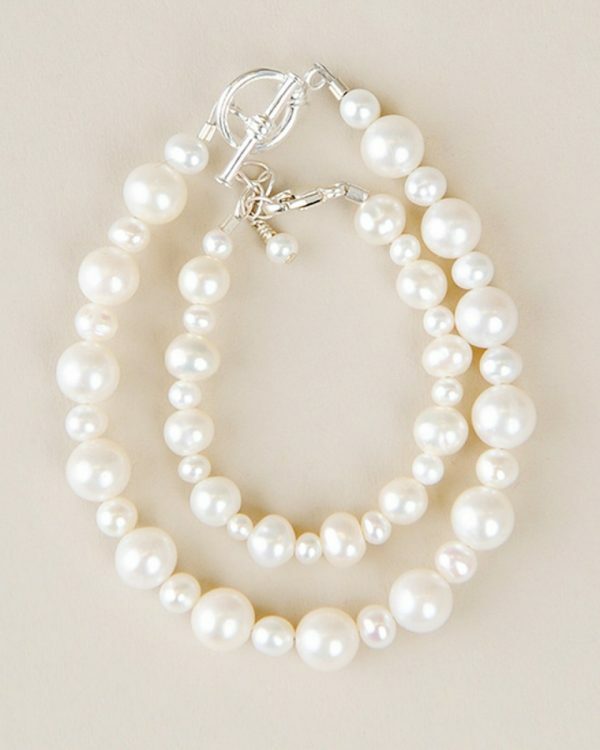 Freshwater pearls glow in a pattern symbolic of the relationship between adult and child. Adult bracelet fits wrists up to 6 3/4″.